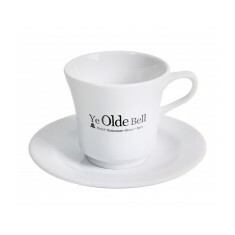 Love that crisp white of bone china but need something with a little more weight to it? 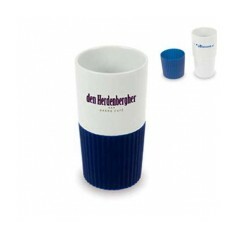 Our promotional Porcelain Mugs are made from porcelain china which is designed with the same pearly white finish but due to the material has a much weightier finish, a middle ground between earthenware and bone china. 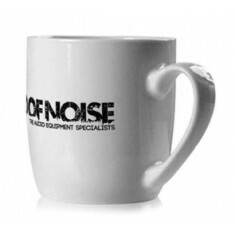 Here at MoJo we offer an excellent selection of shapes and sizes when it comes to branded porcelain mugs all of which can be personalised with your design. 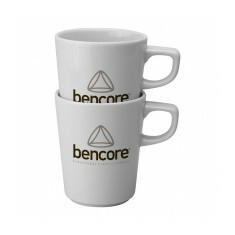 So whether you’re looking to stock up your restaurant or cafe with customised porcelain mugs or just want to make some new ones for the office, we have got plenty of choices for you to choose from. We supply a whole range of products from custom printed Stackable Porcelain Mugs to tall and elegant Florence Porcelain Mugs. 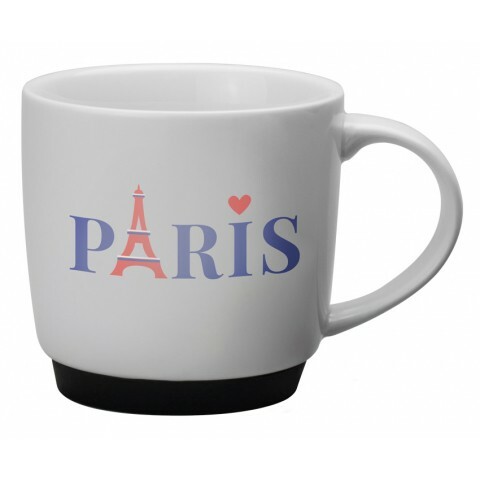 A favourite from this range is our customised Paris Porcelain Mug. This mug comes with a 350ml capacity and is shorter than usual so it can still fit under your state of the art coffee machines. Provided with coloured silicone bases, these are perfect for tying into your brand colours to help coordinate your promotion. 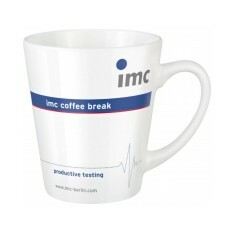 Due to their size and beautiful white finish these mugs look excellent in cafes and restaurants. Want to check out the quality of the porcelain for yourself? Drop our sales team a call and they will be happy to sort samples for you. 350ml capacity. Silicone base. 4 colour choices. Crisp white finish. Large printing area. Made from porcelain. Chunky handle. 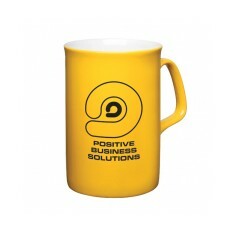 High quality promotional printed mug. 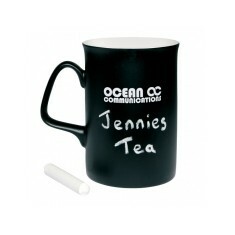 Fun and interactive Opal chalk mug supplied with a piece o.. 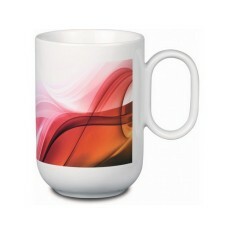 Attractive white porcelain mug with signature handle. 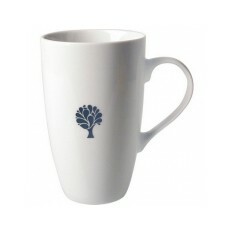 Pate..
Add a touch of class with our Roma Porcelain Mug. Screen printed with your des.. Tall & slim design. Porcelain material. 100% dishwasher proof. 330ml capacity. Opal style mug with your choice of pantone matched body co.. Tired of the standard shaped mugs? 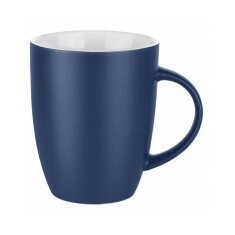 If so, our Rou Bill Elite Matt Mug could be..
Wide-brimmed porcelain mug ideal for large size drinks. Lo..
High quality porcelain mug. 4 sleeve colour choices. Stackable & compact. 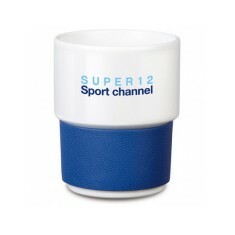 tall white mug with a silicone cuff to hold without gettin.. Enjoy your High Tea with elegant grace from our promotiona.. If you're short on storage space then our Stackable Porcel..